One the best things about fall has to be the abundant supply of squash. Whatever your squash of choice—be it acorn, butternut, or spaghetti—you really cannot go wrong for a wholesome fall dish. 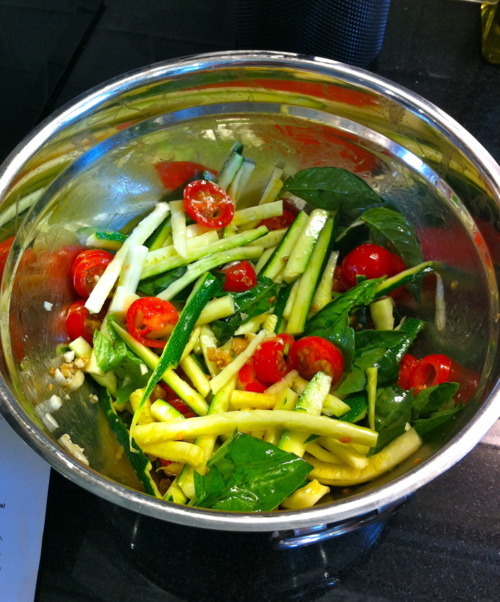 For a picnic I went on recently, I decided to make this easy and raw, tossed zucchini salad (or “pasta” substitute) derived from Whole Living magazine. 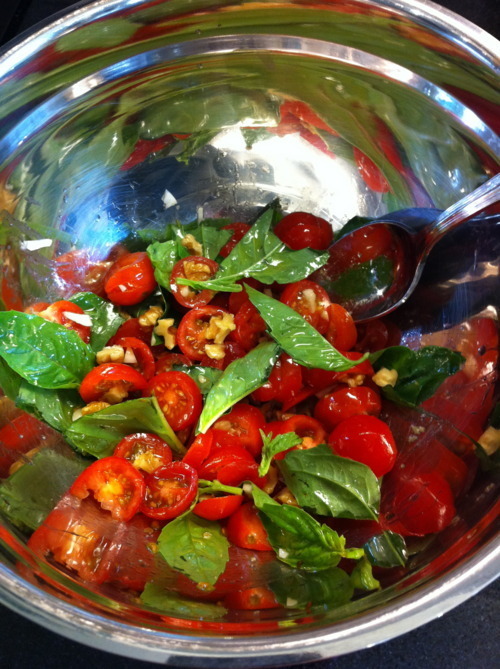 In a bowl, combine the tomatoes, walnuts, basil, oil and garlic. Season with salt and let stand 20 minutes. Then chop the zucchini lengthwise into approximately 1/4 inch long strips. You can also use a “spiralizer” (a veggie spiral splicer) for this part if you want to get fancy. Finally, toss all ingredients together and you have zucchini pasta for 2!